I had a long cherished dream of visiting Darjeeling. So my joy knew no bounds when my parents agreed to take me there. 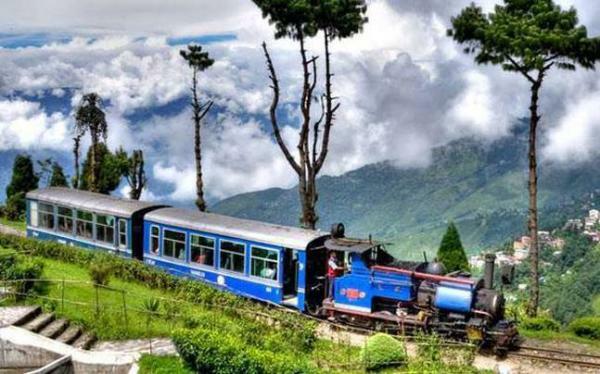 We reached Darjeeling by the Toy Train and it was a beautiful trip through the breathtaking beauty of the hills. When we reached Darjeeling, we stayed in a hotel. On the first day of our trip, we went out for sight-seeing. I was really charmed by the scenic beauty of the mountainous forests, tea gardens (which had a nice smell) and also the snow-covered Kanchenjunga Peak. We also visited attractive spots like the zoo, the Victoria Falls, the Lebong Race Course and the rope way from the North Point to the Rangit Valley on the next days of our stay in Darjeeling. One morning, we had a wonderful view of the sunrise from the Tiger Hills. I can never forget the charming beauty of Darjeeling ever in my life. I think, Darjeeling is an ideal place for visit for any family. It makes one closer to nature and its beauty.